Japanese Restaurant Minneapolis: A Great Spot for Sunday Brunch! If your family likes to go out for brunch a few weekends each month, you may opt for the traditional eggs, bacon, pancakes, and waffles, along with the occasional mimosa or glass of champagne. At Moto-i, we love having people come in for Sunday brunch and watching as they discover a different type of cuisine for their late-morning meal. We open at 11:00am every Sunday, and you can make your reservation today! In our Japanese restaurant, we take the traditional brunch and add our unique twist to it. 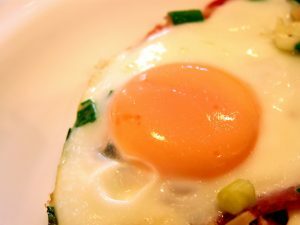 If you like eggs, then you’ll love our egg okonomiyaki, which includes a poached egg, bacon, cabbage, katsu, and more. If you’d rather have an egg sandwich, we make one with a sunny side up egg, candied miso bacon, bean sprouts, Sriracha and scallions, green salad, and QP Mayo on a brioche bun. If you’re looking for something a bit more hearty, our steak and eggs is made with beef tenderloin, scrambled eggs, Daikon hash, and green salad. If you’re looking for something truly unique, be sure to try our Benny Bun, which has two house-made buns, a fried poached egg, candied miso bacon, miso bearnaise, and scallions. If you’re someone who loves to go to a brunch spot that lets you build your own pancakes or waffles, don’t worry, Moto-i has its own version of a “build your own brunch.” You can choose your eggs and rice, and then add your protein of choice. We offer chicken, pork, beef, mock duck, bacon, firm tofu, and fried tofu. You can then add potatoes, mushrooms, corn, or shishito peppers. Finally, we have several seasonings and sauces available, including togarashi, Thai chili, gochujang, and many more. Brunch with friends or family isn’t complete without a good cocktail. We always have amazing sake on hand that can be paired with your favorite dish, and we can make a number of delicious sake cocktails. If you like something sweet with brunch, our Frostbite Fizz, Zodiac, or Good Luck Cocktail is a great choice. We also have a great selection of wine and beer from which to choose, and our staff can make a recommendation based on your preferences. 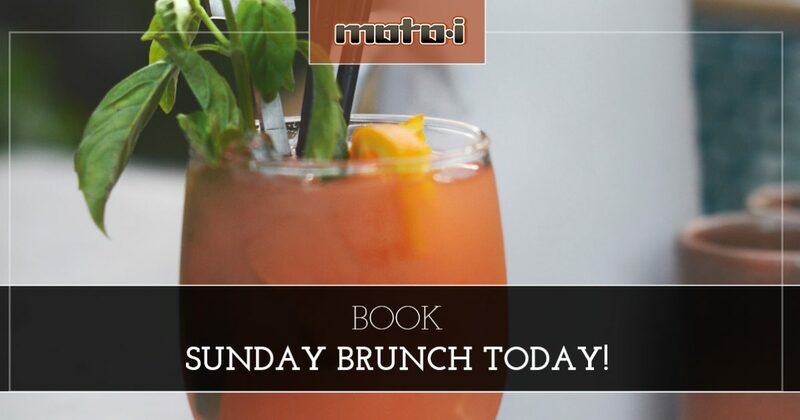 If you’re looking for a new spot for Sunday brunch, come to Moto-i today. You can enjoy a delicious meal before you head out to do some shopping, see a movie, or relax at home for the rest of the day. If you have relatives visiting from out of town, you can expose them to other types of cuisine and experiences. Brunch is served from 11:00am to 2:20pm on the weekends, and you can make a reservation by using OpenTable™. We’re always happy to see new faces, as well as those who come back again and again for amazing Japanese cuisine. We know that you’ll be able to find something on our menu that meets your needs, and we’ll always do whatever we can to make your visit as enjoyable as possible.